Vogel State Park – One of Georgia’s oldest and most beloved state parks, Vogel is located at the base of Blood Mountain in the Chattahoochee National Forest. Enjoy camping, hiking, picnicking, non-motorized water sports, putt putt golf, Wolf Creek waterfall, and more! 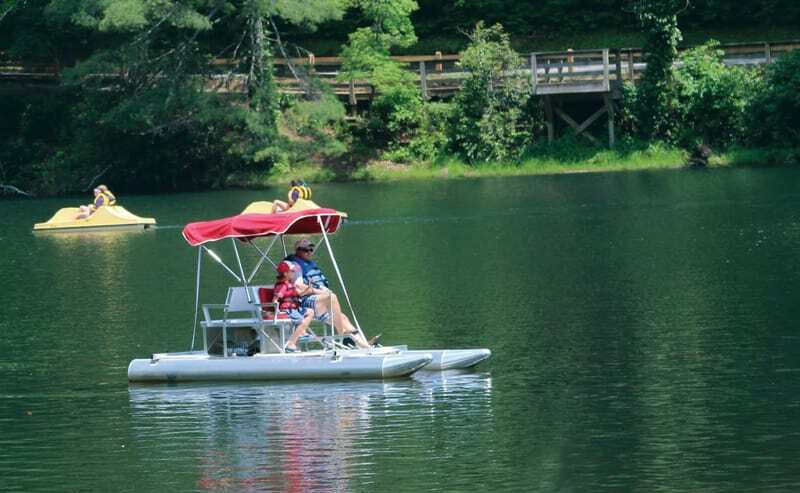 Lake Winfield Scott – Lake Winfield Scott Recreation Area offers visitors year-round recreation opportunities including camping, picnicking, boating, swimming and hiking, all centered around beautiful Lake Winfield Scott. Meeks Park – Everyone goes to play in the park! Bring your family and meet your friends for a game in our beautiful park with 4 baseball fields, 2 softball fields and 4 batting cages, T-ball field, utility field. You may also enjoy a new splash pad for the youngsters, a new playground with swings, a community pool, 4 covered pavilions for picnicking, walking trails, skate park, and 4 tennis courts. Disc golf and pet walking trail are nearby. One (1) mile west of Blairsville on Highway 515. Nottely Reservoir Trail – A 1.7 mile trail on the banks of Lake Nottely. Perfect for moderate hiking or biking. This is an easy to use trail that you can even push a stroller or just enjoy a picnic. Opportunities abound for wildlife observation and photography along the trail. Nottely Reservoir Trail can be accessed from two parking lots about ½ mile from Nottely Dam. Click on the map below for directions to our area parks.